What happens when you have a craving for apple pie, but feel like baking a cake instead? You combine the best of both worlds! 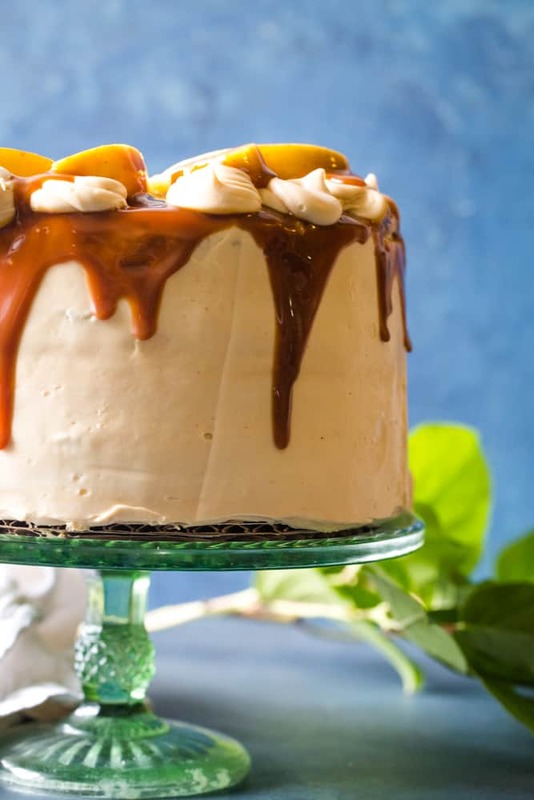 This amazing Caramel Apple Pie Cake serves up the classic All-American flavors of caramel apples and apple pie in the form of a moist and airy layer cake. This post has been sponsored by Arctic® Apples. However, all thoughts and opinions are my own. No more having to choose between cake and pie. 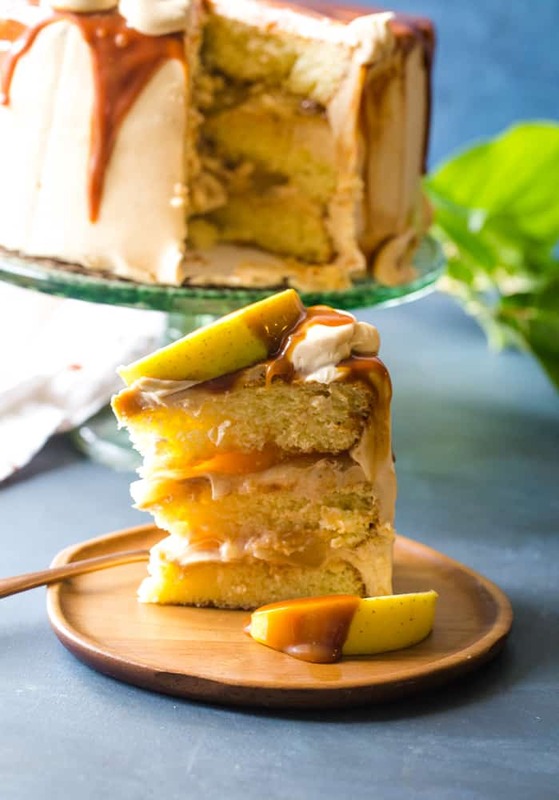 Caramel Apple Pie Cake is everything you love about light fluffy cake, layered with delicious apple pie filling. 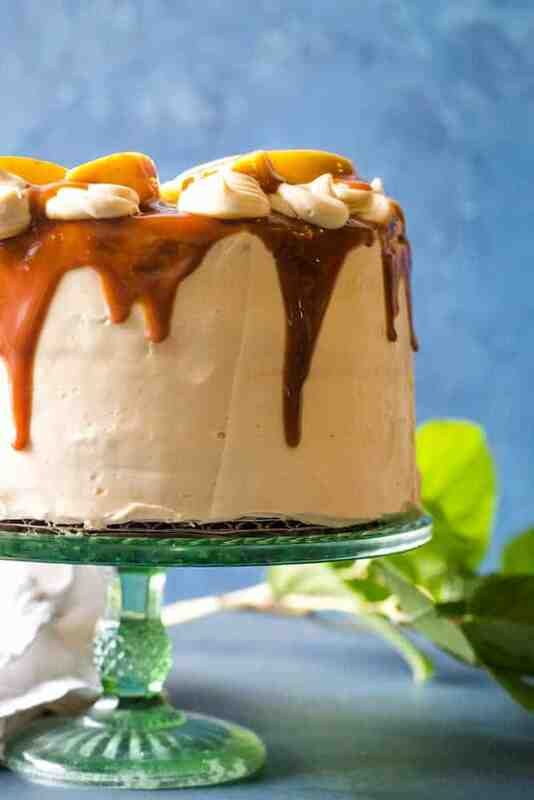 Add to all that an oh-so-creamy caramel frosting, fresh apple slices and a generous drizzle of caramel sauce. 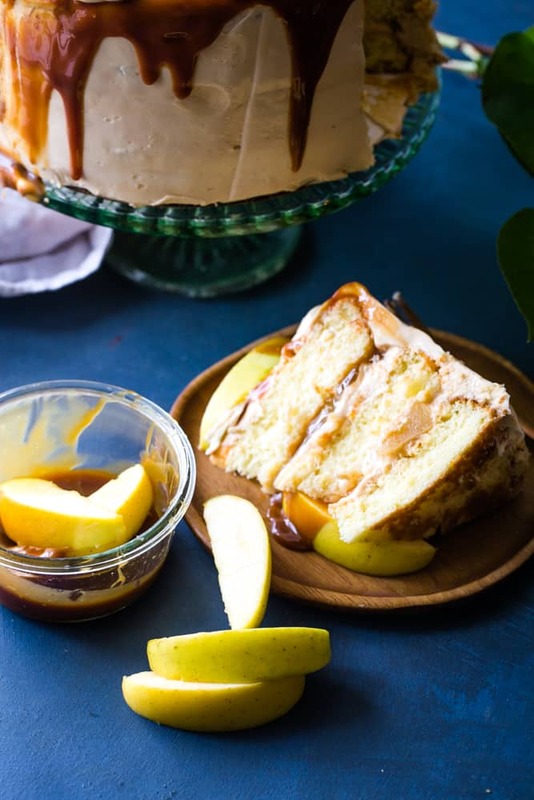 Caramel Apple Pie Cake just might be the most delicious apple dessert ever. If you’re anything like me, you love baking with apples, but don’t love the prep work involved. All that slicing, peeling, chopping…and then having to time it all just right so that your apples don’t brown. Forget it! And that is exactly why I am so excited about non-browning Arctic® Apples. I was fortunate to be able to visit their orchard in Washington this past fall. It was so interesting to learn about their approach to orchard management and the biology behind cultivating their two non-browning varieties, the Arctic® Granny and the Arctic® Golden. 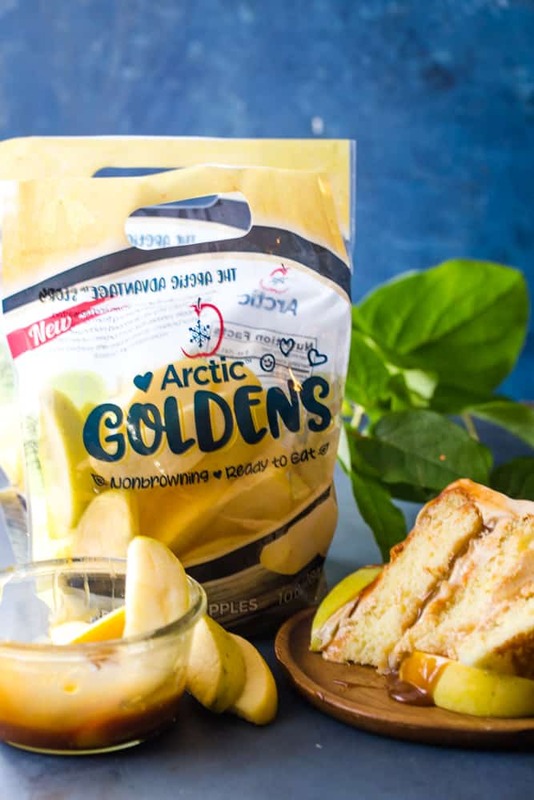 And while both types are great picks for snacking and baking, I find the Arctic® Golden’s firm, crisp, balanced sweetness is ideally suited for this Caramel Apple Pie Cake. 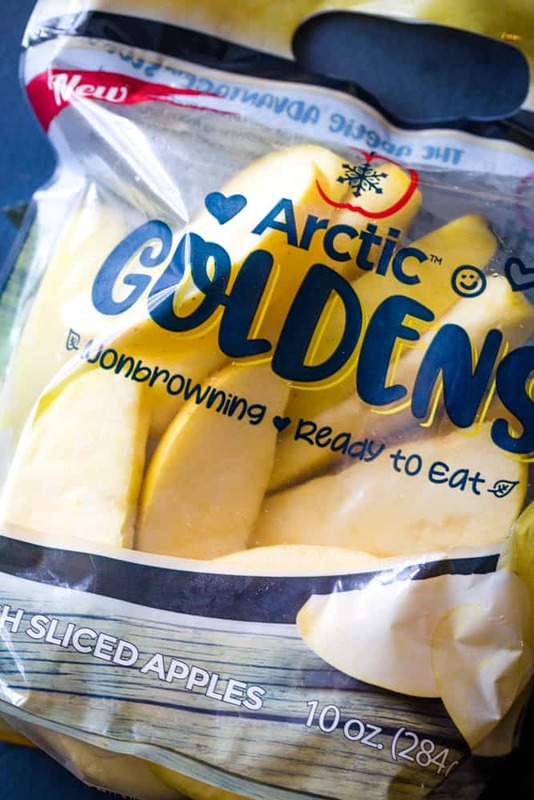 Being able to keep a bag (or two) of non-browning Arctic® Golden Slices is a true game changer. My kids are much more willing to munch on a handful of pre-cut apple slices. And according to taste tests, sliced Arctic® apples have a better crunch, texture, and visual appeal than sliced conventional apples. 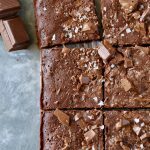 Plus, knowing my fridge is stocked with fresh, ready-to-use slices means I can whip up all sorts of delectable apple delights whenever the mood strikes. Perfect for those “I feel like baking apple turnovers at 10:00pm” moments. They also have a product called ApBitz that are dried apples, sliced into fry-shaped cuts from 100% Arctic Grannys. Their ApBitz dried apple snacks are tart, crunchable, and bursting with flavor! 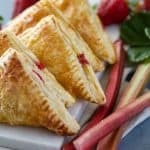 These are the perfect snacks for healthy lunches and delicious on-the-go snacking and a great way for both adults and kids to get a nutritional boost without sacrificing flavor or ending up with sticky fingers. ApBitz dried apples, sliced into fry-shaped cuts from 100% Arctic Grannys, are a fun and wholesome way to enjoy an unparalleled eating experience. 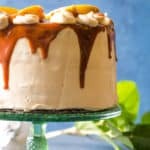 If you like this Caramel Apple Pie Cake, you’ll want to check out my Apple Pie Bars and Apple Cinnamon Cheesecake. And this recipe for Apple Buttermilk Custard Pie is sure to please all of the apple lovers in your life. 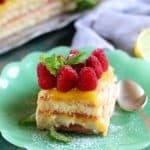 When you can't decide if you want cake or pie, you make both in the form of a cake! In the bowl of your mixer (or beaters), cream butter and sugar, until light and fluffy. 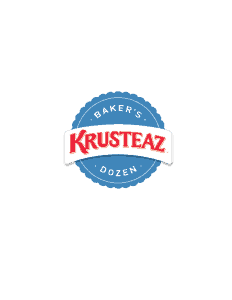 Reducing your mixer speed to low, alternate adding flour mixer and buttermilk until just combined. Do not overmix. 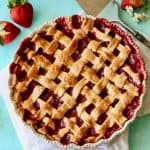 Bake at 350 degrees for 25-27 minutes for 9-inch pans and 22-25 minutes for 6-inch pans, or until a knife is inserted and when removed is clean. In a large bowl, toss chopped apples with lemon juice. In a large pan set on medium heat, melt your butter. 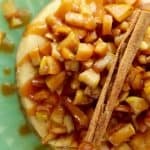 Pour in sugars, apple juice, cinnamon, and salt and allow to simmer until apples are soft on medium-low heat, about 10 minutes. Whisk together 2 tablespoons water with corn starch to create a paste. Add cornstarch paste to apple mixture and stir until thick. Heat brown sugar, cream, butter, corn syrup, and salt in a heavy bottomed sauce pan over medium-low heat. Whisk gently for about 5-7 minutes until it has thickened. Once sauce has thickened, stir in vanilla and remove from heat. Cool for 5 minutes then pour into jar to cool completely. Cream butter, vanilla, and caramel sauce until smooth. Add ½ of the powdered sugar and mix. Add remaining powdered sugar and 1 tablespoon milk; mix until incorporated. Increase mixer speed to high and beat for 4 minutes. If frosting is still too thick, add additional tablespoon of milk and beat until frosting is light and fluffy. 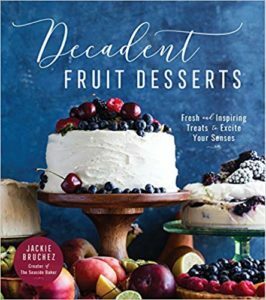 If needed, remove domes of cakes using a sharp serrated knife. 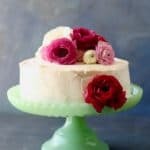 Place first layer on cake board or serving platter. Spread ½ cup of frosting over layer and top with cooled apple pie filling. Place second layer on top of apple filling. Repeat with third layer. Frost the outside of the cake completely. Chill cake for 1 hour before adding the caramel drizzle. 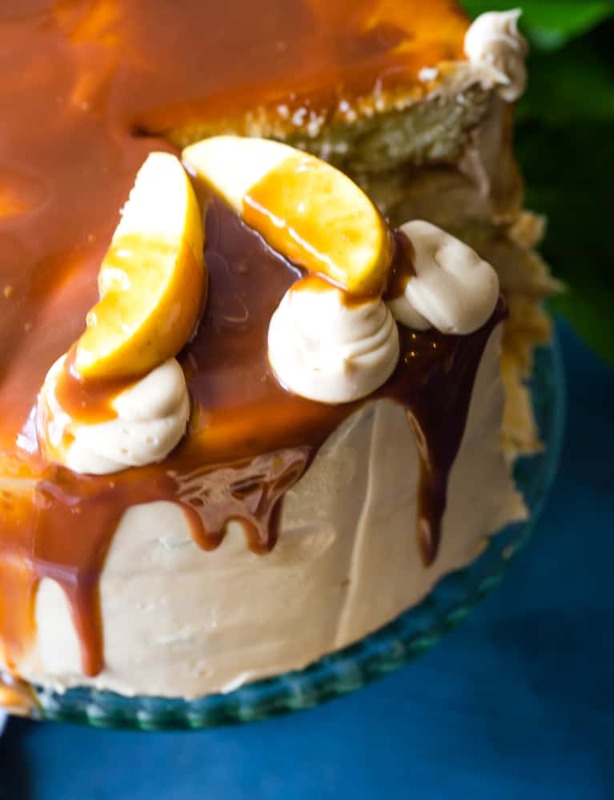 Garnish cake with caramel dipped apples, if desired. 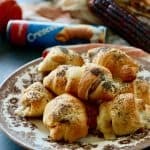 Serve immediately or refrigerate until 30 minutes before serving and up to 2 days.